When you have a 9-to-5 job, maintaining a blog can be a challenge. But that should not stop you from carving out some time for it. If blogging is your outlet and passion, writing on it should not be a burden. It's worth remembering NOT to compare yourself with others. I know, because sometimes I fall into the trap of gushing over countless perfect blogs out there and then hating myself for not trying harder. 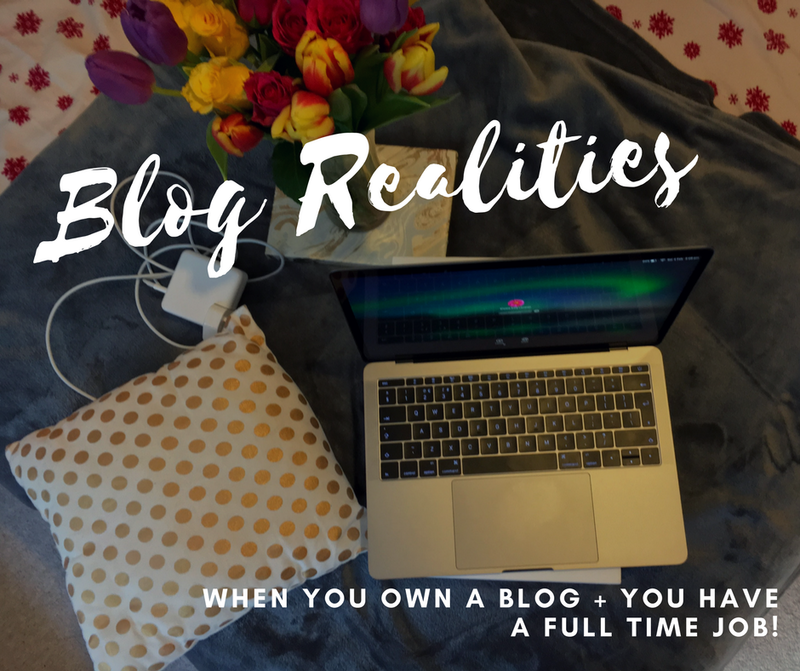 Until I realised: The people behind these blogs are full time bloggers and I am not. It's not an excuse, it's more of putting things into perspective. When you come to terms with that reality, improving your own platform will be a lot easier. Fret not, because there are ways to up your blogging game! The day I discovered Google Photos is the day I told myself: getting back to constant blogging is sustainable. Before, I have to snap a photo, download it to my Macbook, edit it, upload it to blogger and finally I can write a post. With Google Photos, you snap a photo and it will automatically synch your phone photos to your blogger (just select from your phone option). No upload, download needed. Now, you can concentrate on writing and all those fun stuff. This is life changing for me! We fail to see this as a privilege but it is. Imagine, you are not obliged by sponsors to blog on adverts or whatever products they are selling. I've tried this before, but it is not for me. It feels like I'm doing a term paper on something. Then suddenly the respite factor of blogging evaporates into thin air. I know that I'm meant to do something else for a living and in my book, blogging is a hobby not a means to earn money. This is not set in stone of course and I have so much respect for 24/7 bloggers (believe me, it is hard work!) However, for now, I am an independent blogger and I'm totally cool with that. Travel blog today, cooking post tomorrow, what's in my bag the day after? Blog away! If you don't have time to write a full content, post photos instead! Other people might raise an eyebrow over this idea but I think it's better to post, learn from your experience and improve than to not post at all because you want every word to be perfect. There's a thin line between wanting to have a quality post and procrastination. Case in point, I have so many travel photos waiting to be published since 2014 and where are they in my blog? Nowhere. Because I thought I should write a good caption on each day and before I know it, it's going to be an 8-hour blog writing saga. Ain't nobody got time for that! This works like a miracle. I personally recommend Pipdig because they have so many nice layouts and their support team is very helpful. It worked for me, why not try it? After the blog revamp, I find myself listing all my post ideas again. "Travel blog today, cooking post tomorrow, what's in my bag the day after? "...totes agree sis, nice post.